Glenn Messinger, Baldor’s general manager, samples Wilson Farm’s arugula. “I don’t go into the woods and pick my own mushrooms,” confesses chef Jason Santos, who helms Boston’s Abby Lane, Back Bay Harry’s, and Blue Inc. Running three restaurants, how could he? He’s lucky to sleep. Yet farm-to-table is a buzzword for any restaurant worth its fiddleheads. Many menus carefully highlight the origins of fish, meats, and especially produce, both to showcase local bona fides and to satisfy diners curious about a meal’s pedigree. So it’s easy to imagine chefs trotting from farm to farm, inspecting tomatoes and cradling ears of corn. The reality is often slightly different, though no less purposeful. Busy chefs rely on wholesalers. These local purveyors — among them Baldor, Costa, Katsiroubas Bros., Russo’s, and Specialty Foods Boston — are the magicians of the produce world. They provide restaurants with almost any fruit or vegetable imaginable, typically within hours of the order coming in, often picked up from a farm too small to run trucks into town. The operations run on good old-fashioned leg work. I track down Specialty Foods’ Jim Wilker at Chestnut Hill’s Allandale Farm, where he is personally fetching green garlic, “probably for B&G Oysters or No. 9 Park,” he says. The company, run by a trio of former chefs, is popular among Boston’s culinary elite thanks to its selection and customer service. It regularly fields 2 a.m. calls from chefs who are finally off work and assessing tomorrow’s inventory. A day in the life at Baldor Boston’s warehouse. The company started in 1989. “Nobody knew what a shiitake mushroom was. You couldn’t find chervil or mesclun. We started as the only company in town that had these ingredients,” says Wilker, whose customer base originated with upscale restaurants that required then-obscure items. 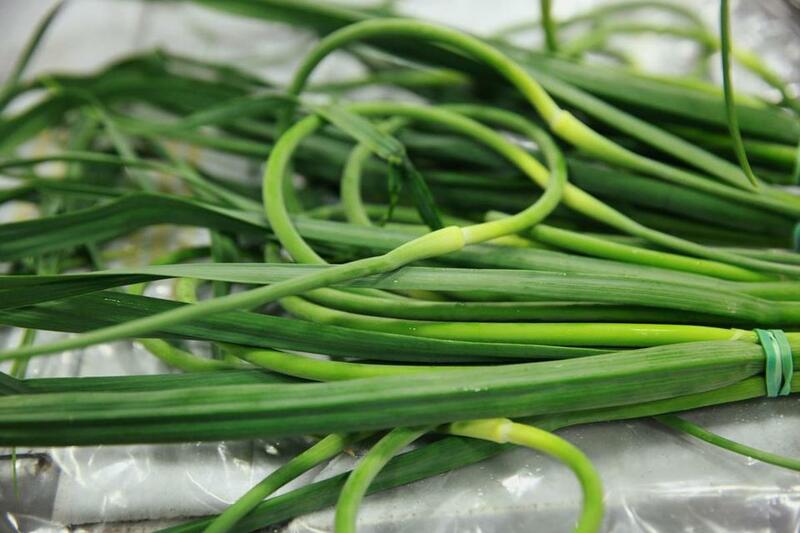 Locally grown garlic scapes at Baldor Boston. Baldor is another favorite. “We speak to chefs on a daily basis. There’s a lot of e-mailing,” says Baldor general manager Glenn Messinger. “We’ll send an e-mail and tell a chef we just got great strawberries, or text a photo of nice asparagus,” eliminating the chefs’ legwork. 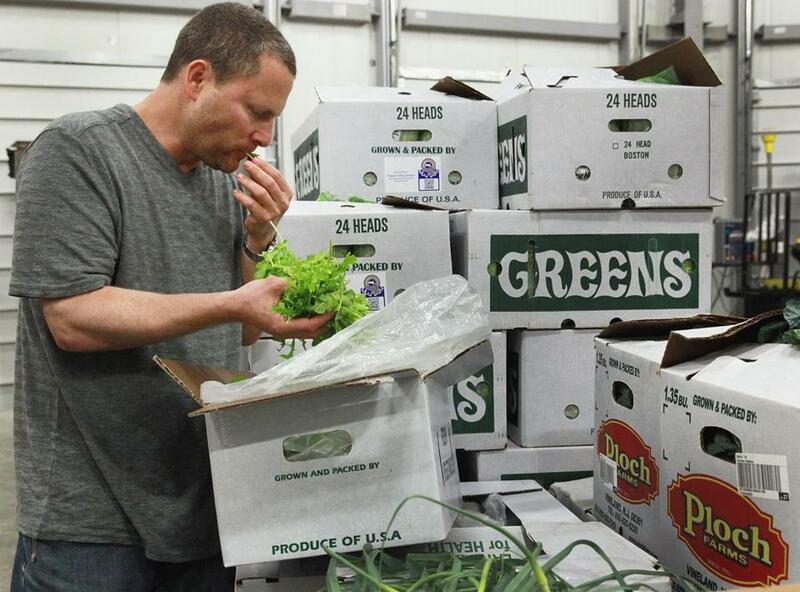 The wholesaler also offers order forms with boxes that underscore native items, like chive flower blossoms from Eva’s Garden in Dartmouth or romaine hearts from Pleasant Valley Gardens in Methuen, ensuring that chefs are versed in the wholesalers’ inventory. In turn, a chef can call to “ask what’s hot or local,” says Messinger, then place a nocturnal order to arrive the next morning — no foraging necessary. Instead, Messinger speaks to local growers each morning to confirm what’s fresh, and dispatches an 18-foot refrigerated box truck to the farm for pickup that afternoon. Goods are stored overnight at Baldor’s Boston warehouse, then delivered by a uniformed crew to the restaurant the following morning. 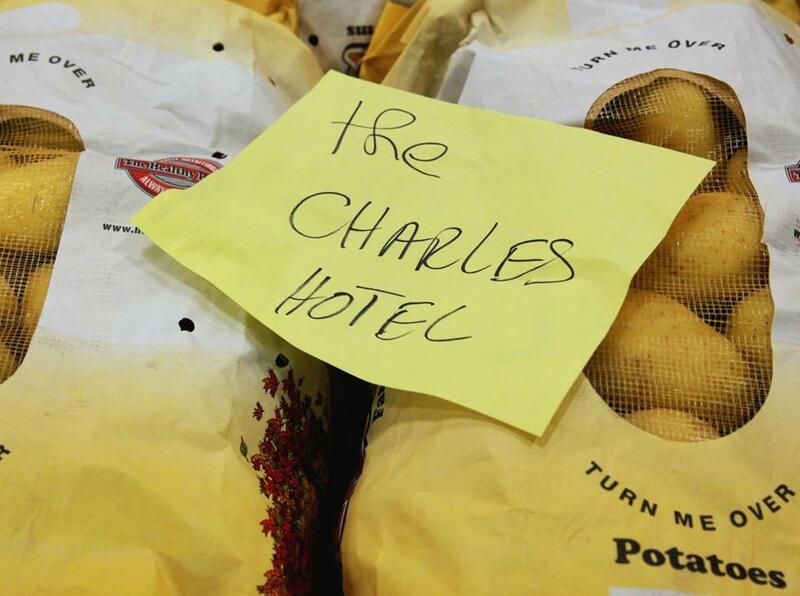 An order bound from Baldor to the Charles Hotel. Meanwhile Boston’s Katsiroubas Bros. provides chefs with customized order forms tailored to their menus. Katsiroubas compiles a newsletter, the Weekly Dish, which highlights available produce. The company blitzes clients about supply-demand issues and weather forecasts. It also distributes spreadsheets itemizing its inventory with information about growers, so conscientious chefs can track the products’ origins. “A wholesaler is easier because if you buy direct, you have to pick it up yourself. A lot of farmers just aren’t big enough to have delivery trucks,” says Mark Allen, executive chef at Back Bay’s Towne. “Katsiroubas will buy from, say, Verrill Farm, I’ll receive the product through them, and I’ll still get it from Verrill,” he says. Some chefs prefer to work directly with farmers. It’s often cheaper to buy from the source, and it’s gratifying to support small business. But it’s not always possible: Many farms lack delivery capacity. “The relationship is the advantage, and you know the farm gets full price. But the problem is distribution,” says Oleana chef and owner Ana Sortun, whose husband, Chris Kurth, runs Sudbury’s Siena Farms. “It’s hard when a restaurant orders $25 worth of produce. The farmer still has to pack and drive it there, and their time is precious,” she says. New England weather is also unpredictable. Peter Davis, executive chef at Henrietta’s Table and the Charles Hotel in Cambridge, orders from Baldor, in addition to sourcing from select farms such as Siena and Verrill, with which he has longstanding relationships. “Most of my food is farm-direct in season, but there’s some stuff that farms don’t have,” he says. “Not everything locally grown is always better, especially in a season with no rain or extreme heat. 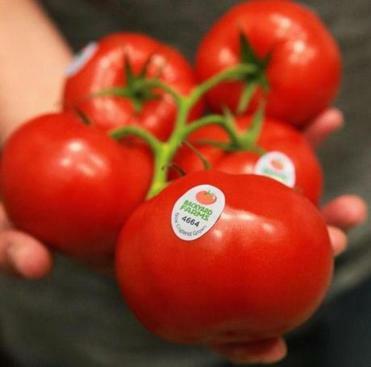 If we can buy better stuff that’s not local, we’ll look into it,” he says. 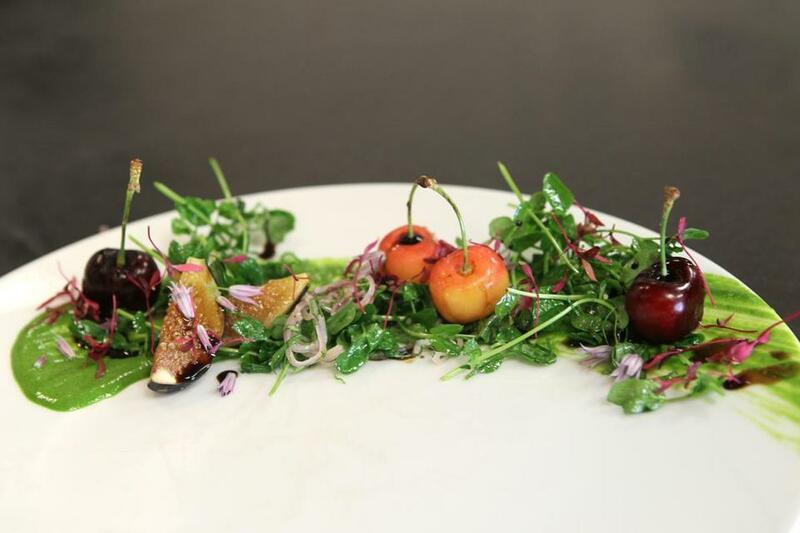 Deuxave chef de cuisine Adrienne Mosier’s preparation of roasted black mission figs with balsamic and pea shoots. “It’s important to me to choose a produce company that has connections to local farms and can get the ingredients we’re looking for,” said Adrienne Mosier, chef de cuisine at Deuxave. As such, some farmers initiate relationships with wholesalers; marketing is as much a part of their business as agriculture. “I meet folks at local farm fairs,” says Messinger. “Often the little guys contact us, and we introduce ourselves. We see what they grow and where they grow it.” Wholesalers work these relationships daily, texting to see what’s good, then dispatching a refrigerated truck. Naturally, hometown wholesalers become valuable liaisons and, over time, trusted friends. Dave Becker runs Needham’s Sweet Basil (Juniper in Wellesley is slated to launch this summer) and he’s close with his trusty wholesaler, Katsiroubas. “I’m friends with the drivers. They come in and chat. If I’m in a pinch, they’ll drop something off for me, as long as I’m polite,” he says. 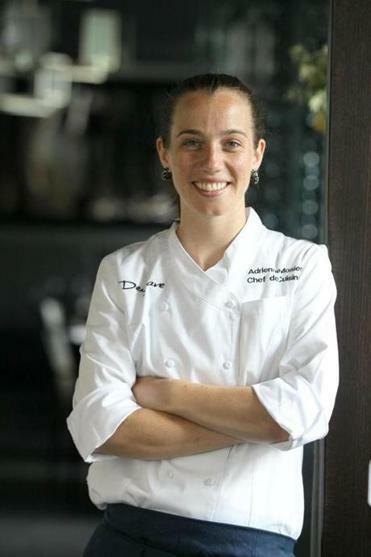 “The customer service is great at Specialty Foods,” says Adrienne Mosier, chef de cuisine at Back Bay’s Deuxave. She forged the relationship while working with chef Michael Schlow at Radius and stayed loyal when she switched kitchens. “It’s important to me to choose a produce company that has connections to local farms and can get the ingredients we’re looking for. When we want a certain baby lettuce from a certain farm, they’ll call them. You learn who treats you right. Specialty will even stop by the supermarket for pita chips if I forget,” she says. It’s not quite chatting over the farm fence, but close enough.